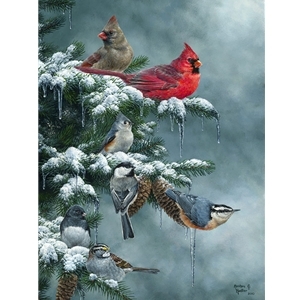 I love feeding songbirds that come to my feeders each winter. By the end of the season, I know some of my feathered friends by name, and cant wait til they return the next winter. They always seem to come cheer me up right around Christmas, almost as if bringing me tidings of comfort and joy as the angels did when baby Jesus was born.